Day 3, and our little Scottish break was coming to an end already! I can’t believe how quick those 3 days went at Edinburgh Napier! After a quick breakfast and a bit of packing, our final University visit was at Sighthill campus that hosted two campus’: Life, Sport & Social Science and Nursing, Midwifery & Social Care. As we walked through the Nursing, Midwifery and Social Care department, it’s fair to say they’ve gone the extra mile to make their students feel like their in a real life hospital setting. They’ve created actual hospital wards that have all the equipment you’d expect to see! It even smelt like one too! Aside of them designing the campus as wards, they even have a handful of Human Sims that can replicate any real life situation such as cardiac arrest and even human birth. These sims are only available in a handful of universities as some of them have a price tag of over £70,000! I was astounded by how well equipt they were, even the baby sims were so life-like. Now for a practical! We headed off to their Science facilities and did a DNA experiment with fruit! Lab cloaks on and gloves, we all picked a certain fruit and extracted DNA using a range of processes. This was really interesting and we learnt how this could then be applied to human cells and even bacteria. Definitely, my favourite workshop of the day! 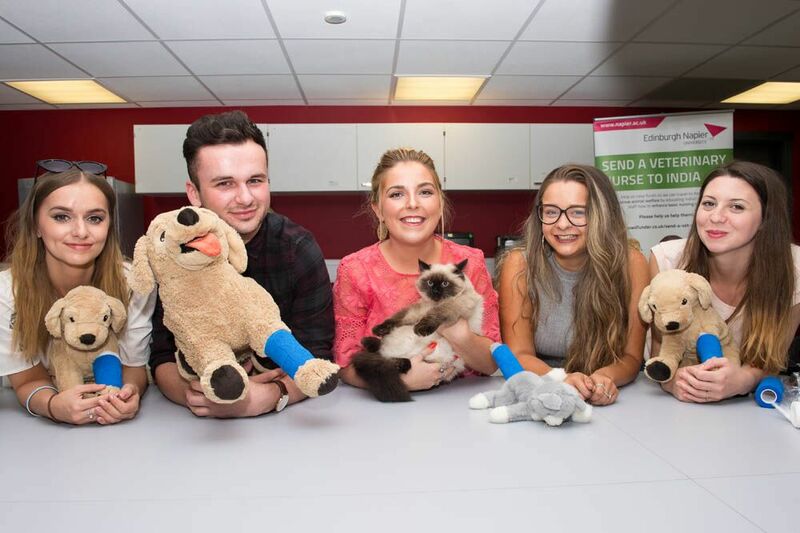 We went to their Veterinary degree where we all learnt how to bandage up a pet! This course gets over 500 applicants every year with only 30 places – how crazy! We also met this little girl in the photo: Poppy. She reminds me of my Ragdoll cat so I just had to have a hold of her. The Sports Science department was also an eye opener for me! Theres so many more aspects to sports, and again their facilities were amazing! They’ve invested heavily on their equipment, even professional athletes have trained there too. They have everything from environmental chambers that monitor altitude and temperature to calculating oxygen and CO2 levels in breathing! We did an agility challenge and I won it, I think that’s the first thing I’ve won in sports – haha. Camera Obscura museum is also a must visit while you’re in Edinburgh. This building is filled with illusions, tricks and obscures that will make you feel like a big kid, trust me! You start on the 7th floor and work your way down. On the top floor you have a 15 minute show that shows you all of Edinburgh from the roof top. Heading down the levels, there’s lots of things to do with funny mirrors, mirror mazes and my person favourite the vortex tunnel that makes you feel dizzy! To finish this wonderful trip we all went for a curry! Rachel and Michelle took us to The Killer restaurant that features the worlds hottest spices! Their menu was so different to any other Indian I’d been too, you could even get an Irn Bru or Chocolate curry. The staff were so lovely, they even give us a tour of the restaurant and their newly opened restaurant next door that will be a buffet! Before we knew it we had to travel back home to our northern town Middlesbrough. I just want to say a big thankyou to everyone at Edinburgh Napier for inviting me on this experience and making those days so special and enjoyable. A student living at home, it’s really opened my eyes on what I have missed/ potentially missed not moving away to study a degree. Edinburgh Napier has really made me think about moving away to do another degree and if I was so, they’d definitely be up there on my list of choices. Edinburgh truly has it all for Education, Night-life, Social- life and just genuinely a stunning and picturesque place to live in. I don’t think I’d ever feel homesick. I’ll definitely be visiting again hopefully sooner than later. Check out Napier University’s website to find out more, click here! 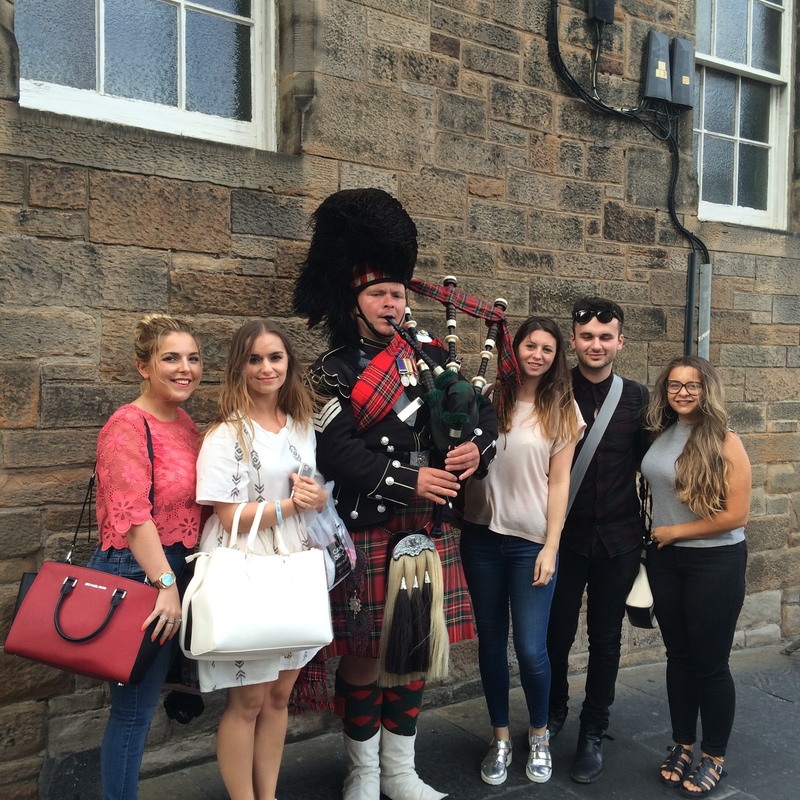 This trip was paid for by Edinburgh Napier University. All opinions and views throughout the posts are my own. Great post! I love Edinburgh (one of my fave cities) and although I never studied there, the universities look amazing! Looks like you has a great time! What a fantastic experience! I had no idea that Napier did blogger outreach, but it’s a really clever idea – I did my MSc in Journalism there.